Specialist Programs at Mundijong Primary SchoolMundijong Primary School is enriched by the specialist programs of Physical Education and Music for all students in Kindergarten to 6. 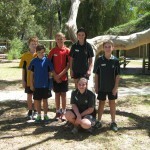 Welcome to Mundijong Primary School. Our motto is ‘Learning Together’. We strive to support and develop enthusiastic students and instil in them a love of learning to help them reach their potential, both socially and academically, and to embrace and adapt to a changing world. 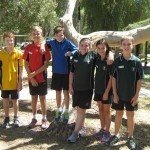 Mundijong Primary School is a place of excellence where students know they are valued. The effectiveness of the school is measured by the achievement, attitude and character of the students and the integral role the school has in the community. When you join our school community, you will quickly become acquainted with the quality and richness of programs that are designed to meet your child’s needs. Our school vision of ‘Respect, Engage, Excel’ are reflected in our relationships with each other – staff, students and parents – and in the development of our programs and policies. These values form the moral purpose of our school and the foundation for ensuring the optimal learning environment for all students. Individual differences are identified and catered for, maximising each student’s learning. Thorough curriculum planning provides the basis for quality instruction guided by the Australian Curriculum and the principles of the Curriculum Framework. A strong knowledge of best practice ensures an innovative, engaging and dynamic curriculum is taught. There is a clear focus on high standards of student achievement. Evidence based approaches to improvement are used to effectively plan and promote collaborative decision-making. Our school is staffed by experienced teachers, administration and education assistants. Specialist teachers enrich the curriculum in Music and Physical Education. Staff are dedicated in their approach to education and to working as a member of a collaborative team in order to meet the needs of every student. Loyalty and teamwork are strong features of our staff.